GAITHERSBURG, Md., April 11, 2018 /3BL Media/ - Sodexo, a food services and facilities management company committed to improving Quality of Life, announced today that it has been named to Women’s Business Enterprise National Council's (WBENC) 18th annual list of America’s Top Corporations for Women’s Business Enterprises (WBEs) for the first time. This is the only national award honoring corporations for world-class supplier diversity programs that reduce barriers and drive growth for women-owned businesses. “We are committed to diversity and inclusion at all levels of our business,” said Rohini Anand, PhD, SVP, Corporate Responsibility & Global Chief Diversity Officer, Sodexo. “We want to support growing diverse businesses and establish long-lasting relationships with like-minded, mutually-beneficial companies." "As we launch the next decade of WBENC, we are so proud to honor WBENC’s Top Corporations for WBEs, including Sodexo, for choosing to set the standard for access and increase opportunities to women suppliers in new markets – both domestically and internationally," said Pamela Prince-Eason, President and CEO of WBENC, the nation's leader in women's business development. "WBENC-Certified WBEs in turn are able to fuel innovation, and empower communities through economic growth and job creation." 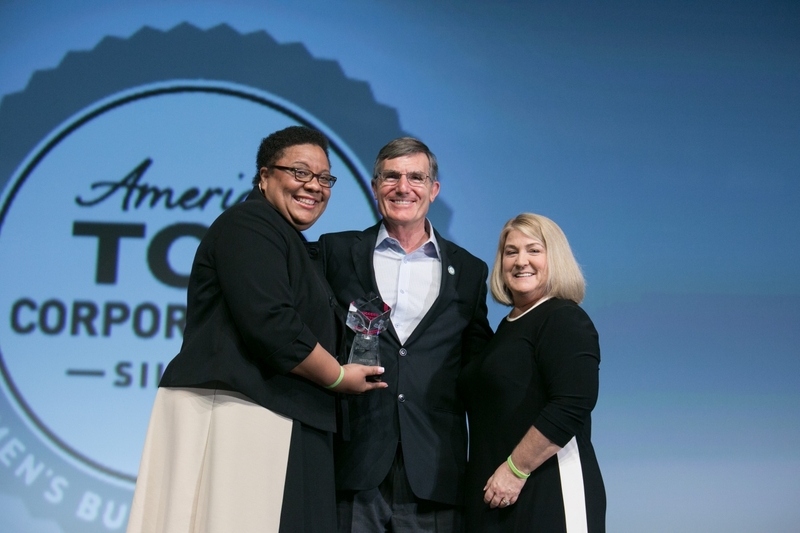 Sodexo’s recognition as one of America’s 2017 Top Corporations for Women’s Business Enterprises is just one of the organization’s recent wins in the diversity and inclusion space. Sodexo was named to Bloomberg's 2018 Gender-Equality Index (GEI) and inducted into DiversityInc’s Top 50 Hall of Fame for its advancement in gender equality. Additionally, the company was ranked in the top 10 of DiversityInc magazine's 'Top 50 Companies for Diversity' list for the 9th consecutive year, Best Companies for Multicultural Women list by Working Mother Magazine and recognized on three of FORTUNE Magazine lists in 2017, including World's Most Admired Companies, Change the World and the FORTUNE 500. The selection of America’s Top Corporations for Women’s Business Enterprises (WBEs) is conducted annually by the Women’s Business Enterprise National Council (WBENC). The list of Top Corporations is designed to recognize organizations who are choosing to integrate policies and programs across the corporation to enable growth and reduce barriers for women-owned businesses; increasing opportunity in new markets – both domestically, and international; fueling innovation; and empowering communities through economic growth and job creation. Each Top Corporation honoree has demonstrated continuous, effective practices leading to significant results; further reinforcing a strong business case for their organization, the development of WBEs, and breaking down barriers to WBE inclusion within their organization. WBENC is the largest third-party certifier of businesses owned, controlled, and operated by women in the United States. WBENC partners with 14 Regional Partner Organizations (RPOs) to provide its world-class standard of certification to women-owned businesses throughout the country. WBENC is also the nation's leading advocate of women-owned businesses and entrepreneurs. Throughout the year, WBENC provides business development opportunities for member corporations, government agencies and more than 14,000 certified women-owned businesses at events and other forums. Learn more at www.wbenc.org. For more information about the annual America’s Top Corporations for Women Business Enterprises, visit http://www.wbenc.org/americas-top-corporations-for-wbes.